In 2014 the Foundation created a training centre, called “Formasyl” to give greater knowledge of its operations to the wider public and to professionals, and to propose and develop new training initiatives both for itself and for outside organizations. Short courses within a rolling annual programme for service users. Also for the employees of the projects with the oundatiom. Responding to special requirements from employers of former trainees. Training of employess (handicapped or otherwise) from other foundations, associations or buinesses. Training on demand from outside businesses. FORMASYL can plan and deliver training in the areas of IT, building management, management of open spaces, and in supporting people. 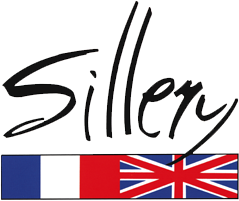 The Fondation Franco-Britannique de Sillerywill hold it third festival fonor July 1st 2019 to celebrate its centenary. We are looking for volunteers to create a museum and exhibition on the theme “The development of society and the social and medical support of service users of the Foundation over the last 100 years” If any one has documents, photographs or objects relating to the history of the Foundation we would be honoured were you to entrust them to our care.